I'm personally not a fan of TSFX (really disliked some of their marketing I got in VCE) - so it's kind of ironic that that's what you didn't know about - but I hope that you find the info beneficial anyway. Workload: Not much. As long as you do all the textbook questions then it’s relatively easy to keep up. Was it interesting? It’s maths, what do you think? But in all honesty, the content wasn’t too dry. General tends to get a bad rep but I didn’t think it was that bad. I did find it to be quite tedious in year 11 (when I repeated the subject), but going ahead with 3/4 work helped me with that. What did you expect / What were you surprised by I had expected a heavy workload, since it was the first 1/2 (and VCE) subject I ever did. I was quite surprised by the fact that, as long as you do all the assigned work and don't lag behind, the subject isn't hectic at all. What was the social environment like: Eh. We had a full class and about 1/3 of the cohort were year 10s - we mostly kept to ourselves apart from a few adventurous ones who mixed with year 11s. There were a couple of adventurous ones who mixed with the older year levels but I wasn't one of them lol. What would you do differently/keep the same? TBH I probably wouldn't have done general maths early, as further 3/4 is easy enough to learn without the 1/2 content and 1/2 gets a bit dull sometimes. Now as a year 12, I notice that 1/2 really don't have an impact on how well you do in further - most of those ranked towards the top end of the cohort never did 1/2. So IDK if this is good advice: but for any year 9s thinking of doing further in year 11, don't do general in year 10 cuz IMO it's quite unnecessary. Of course, not everybody feels the same, and I personally know people who did general and found it really helpful. For a Mod A essay, what would be an effective essay structure, which would incorporate all the key ideas, and both texts? Like are 2 body paragraphs enough to write all the information? HSC Community and Family Studies / Re: IRP Surveys here! Hey I would appreciate it if you guys take the time to fill out my SAC questionnaire. Thank you. I've read both the links and they have motivated me even more ( content looks interesting ) the only problem is figuring out how to attend the tutorials. 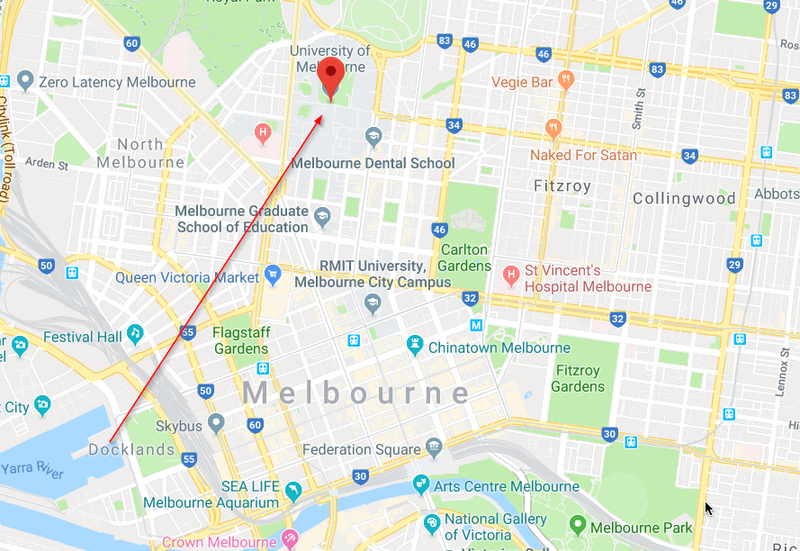 Could you let me know the location of the campus, like where specifically in Melbourne. It's obviously not something you have to worry about too much now. The campus is located relatively close to the CBD (shown in the below image) and is quite accessible via public transport. Lifestyle and Entertainment / Re: Do y'all podcast? Need some new podcasts to listen to- any suggestions? I needed to update notes on module 5 cuz i have basically one ( technically) and i really need ur help!